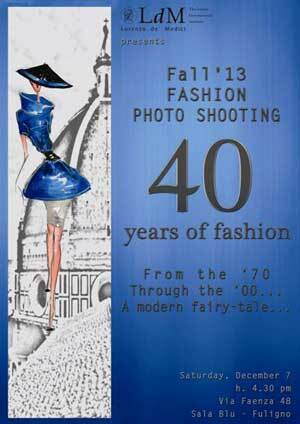 The four walls of a monumental room, each presenting a decade of the last 40 years of Fashion: that is A Modern Fairytale! As their final project this Fall 2013 semester, our Fashion Design students will have the opportunity to participate in a real photo shoot, showing their own creations in an extraordinary location set up by our Visual Merchandising class. Follow three of our Fashion Design students during the process from fabric shopping to the day of the photo shoot on our Fashion Blog .